Clear skies. Low 43F. Winds W at 5 to 10 mph..
Jared Naylor’s performance in the West Jones gymnasium was as good as any that was going next door at the show-choir competition in the Performance Arts Center — especially the encore. The 5-foot-7 senior scored 35 points to lead the Mustangs in a 91-90 double-overtime win over rival South Jones in the consolation game of the Region 5-5A tournament on Friday night. Naylor scored 13 of his points in the OT periods, sinking 6-of-6 from the free-throw line. 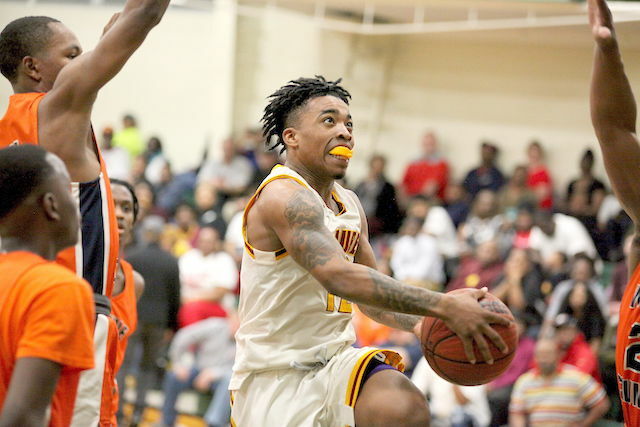 “He shot the ball well, he didn’t miss a free throw and I don’t think he turned the ball over … He did what a senior guard is supposed to do,” WJ coach Todd Arnold said. Coleion Page scored 20 points, Tajrick Randolph added 12 and Quan Keyes contributed 11, including going 8-of-8 from the line and adding four points in overtime. Jon Micah Coleman also scored four points, all in OT. For South, Andre Thomas popped the net for 26 points and Jamari Dease got hot in the second half to finish with 22 points after scoring only two in the first two quarters. Jordan Miller scored all 10 of his points in the second half and Jackson Delk hit three 3-pointers in overtime to finish with 11 points. But Thomas, Miller, Oua Page and DeMarcus McGilberry all fouled out and West hit its free throws down the stretch to hang on for the win. The Mustangs led 27-24 at the half and 48-39 going into the fourth quarter, but South came storming back and outscored the home team 27-18 to tie it at 67 at the end of regulation. The teams had split their previous matchups this season, with West winning at South 65-62 and South returning the favor at West 54-47. Last year, the Mustangs beat the Braves by one point, 52-51, to advance and end South’s season. With the third and final spot in the playoffs on the line, the two rival teams battled like it was for a state championship. The victory keeps the season alive for the Mustangs and finishes off South’s season at 4-23. West Jones is scheduled to play at Brookhaven tonight (Tuesday) with a shot at the South State tournament at stake. The Mustangs are 9-18 and Brookhaven is 20-7. Laurel came into the region title game riding a 12-game winning streak that included two victories over Wayne County. But the War Eagles saved their best for last, knocking off the Naders 69-68 in overtime to take the 5-5A tournament title at West Jones. Laurel, which ran the table in the region to win the regular-season championship, trailed throughout most of the game. But Jontarius Henderson took over in the fourth quarter, which is when he scored 11 of his team-high 20 points. Early in the final period, he drove the baseline for a layup and drew a foul, then converted the three-point play to tie it at 50. His steal and breakaway on WC’s next possession gave Laurel the lead, but the War Eagles turned up the defense and built the lead back to six. The Naders came back, though. Kelauntai Glenn dished to Austin Lindsey under the goal, and he tied it at 58 with 3 minutes to go.Two possessions later, Lindsey blocked a WC shot attempt, then finished the break on the other end for a 62-60 Laurel lead with 1:25 remaining. But he missed a pair of free throws that would have given Laurel a four-point lead with a minute left and WC’s Terrance Jones hit a pair to tie it at 62. Laurel held the ball for a final shot, but it didn’t fall, so they played an extra four minutes. The Naders started with back-to-back turnovers and WC turned both into buckets for a quick four-point lead. But Cameron Jones hit a deep 3-pointer at the 1:30 mark to make it a one-point game, and after each team made a couple of more trips to the line, WC led 68-66 with 35 seconds left. Jones found Lindsey in the lane for a short jumper that tied it at the 15-second mark. WC set up for a play on the other end, and Garius Ray drove down the lane. 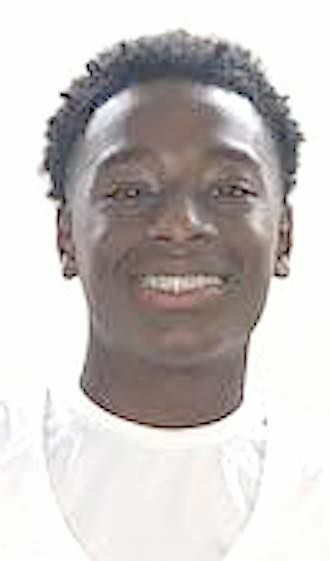 He spun toward the basket, but Laurel was whistled for a block — a call that set off Laurel coach Marcus Price and Nader Nation — and Ray went to the line with 5 seconds left. He missed the first one but sank the second. Laurel turned the ball over at midcourt and didn’t get off another shot attempt. Lindsey finished with 16 points while Antwain Hatten and Cameron Jones had 11 each. For WC, Jones had a game-high 25 points, Ray had 14 and Devonta Pittman scored 13. The Tornadoes (16-7) still advance to the South State playoffs. They will face Wingfield (13-15) tonight (Tuesday). The War Eagles (17-11) will take on the winner of tonight’s Picayune (18-11)-West Harrison (16-13) game on Saturday. The Northeast Jones Tigers (15-12) are playing Florence (21-6) tonight (Tuesday) with a trip to the next round of the Class 4A playoffs on the line. The winner will play Friday against Bay High (16-12) or Poplarville (11-14). No results from the Region 5-4A tournament were reported, but the Tigers had to have finished third or better to advance. In 2A, Bay Springs (25-3) was scheduled to host Pisgah (14-15) at 7 tonight (Tuesday) with the winner advancing to play West Lincoln (15-12) or Richton (3-14) on Saturday. Taylorsville (10-11) was set to take on Pelahatchie (10-15) tonight at 7 and the winner will play Saturday against North Forrest (22-4) or Bogue Chitto (8-20). Heidelberg (15-12) was playing Mize (14-9) tonight for the right to play the St. Patrick (21-6)-Loyd Star (19-9) winner on Saturday. Collins (18-7) is facing Amite County (6-14) tonight and the winner will play Saturday vs. St. Joseph (21-8) or Enterprise-Clarke (9-19). In 1A, Stringer (18-9) was playing Lumberton (9-14) tonight with a Saturday matchup with West Lowndes (16-8) and French Camp (6-16) at stake.